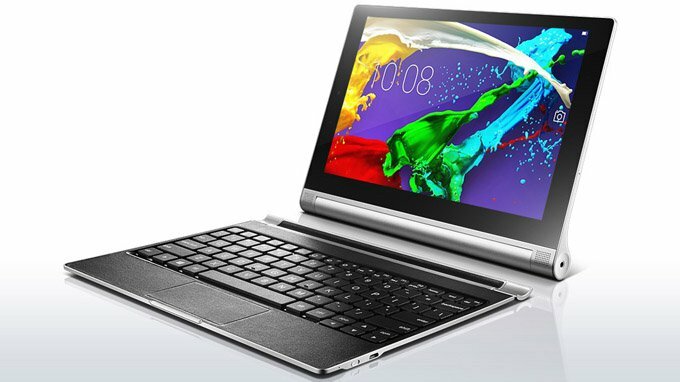 Lenovo has recently expanded its Yoga tablet lineup with the unveiling of a new tablet — the 13-inch Yoga Tablet 2 Pro. The tablet is reportedly scheduled to hit the markets later this month. Specs-wise, the Yoga Tablet 2 features a screen that’s 8- or 10-inches in size with a resolution of 1920×1200, quad-core 1.86GHz Intel Atom Z3745 processor, 2GB og RAM, 16GB storage plus a microSD slot, 8-megapixel rear camera, 1.6-megapixel front-facing camera, stereo speakers, Android 4.4 KitKat and a battery that’s rated for 18 hours of use, which we don’t doubt based on our previous experience with Lenovo’s Yoga tablets. Pricing is set at $249 and $299, respectively, though no release date has been disclosed. According to the details shared by Lenovo, the new Yoga Tablet 2 Pro is equipped with an onboard Pico projector which is capable of offering approximately 8-watts of audio quality. The projector also allows the users of the tablet to On the front of the projector are dual, large-chamber speakers; while subwoofer rounds it out with deep bass notes. Moreover, the Dolby Audio and Wolfson Master HiFi pave the way for a multi-channel function when movies are viewed by users.